Start now or be sorry later. 1. Pay attention to your hair! When it comes to aging, the first words that most often come into mind are fine lines and wrinkles. But do you know that your tresses also need extra TLC? Refrain from taking hot showers, as scalding water strips the hair of its natural moisture. Also, keep the use of hot tools to a minimum. Finally, switch to a shampoo that will deeply nourish your hair. 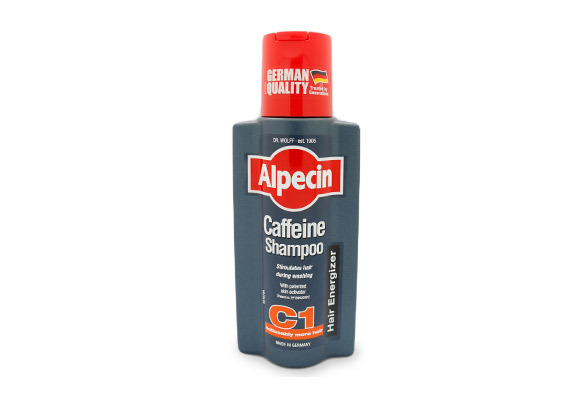 We love Alpecin Caffeine Shampoo C1. It has caffeine which strengthens the hair roots and prevents hair loss. If you haven’t yet, you’re missing out on a lot! 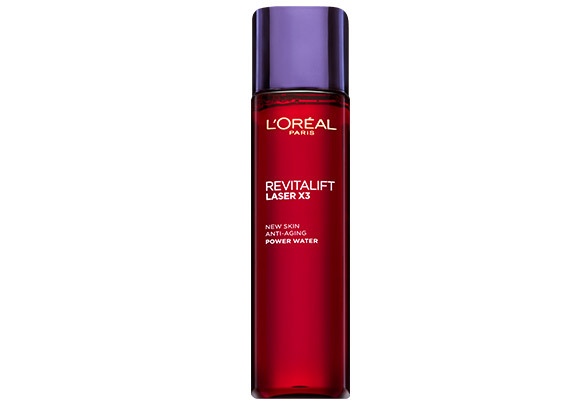 We love L’Oreal Revitalift Laser X3 Power Water which keeps the skin hydrated, restores its plumpness, and minimizes pores. It also has Pro-Xylane which helps restore the skin’s overall health, and adenosine which eliminates fine lines. 3. Never skip face creams! We can’t emphasize enough how important face creams are, especially after exposing your skin to dirt and pollution from daily commutes and too much makeup. If your skin is in dire need of moisture, we recommend Collagen by Watsons facial cream. 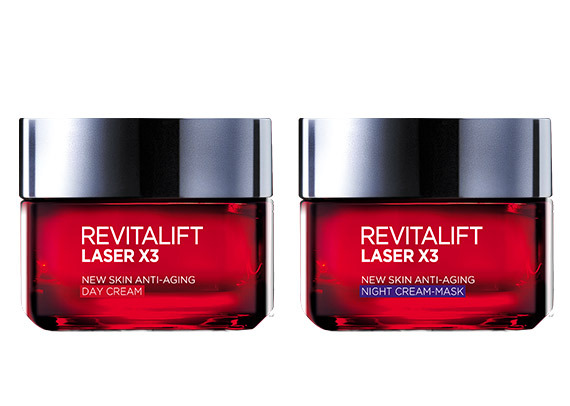 If you want to target fine lines and enlarged pores, however, L’Oreal Revitalift Laser X3 Day Cream and Night Cream-Mask should do the trick. 4. Start using anti-aging serums. To age gracefully is the goal here, and what better way to do so than with the help of a potent face serum. 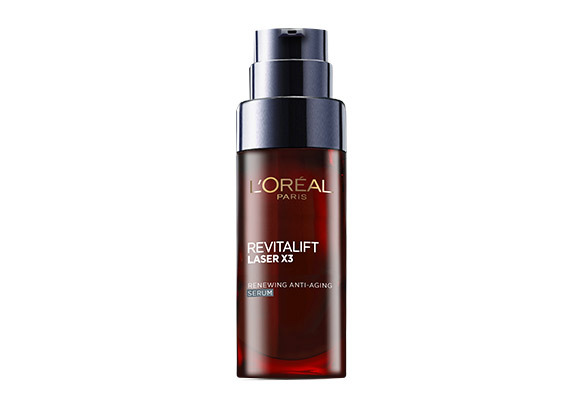 We love L’Oreal Revitalift Laser X3 Renewing Anti-aging Serum, as it corrects pores and wrinkles, renews the skin, and restores its bounce. 5. Don’t forget your eye cream. The skin around your eyes is significantly thinner compared to the rest of your face. 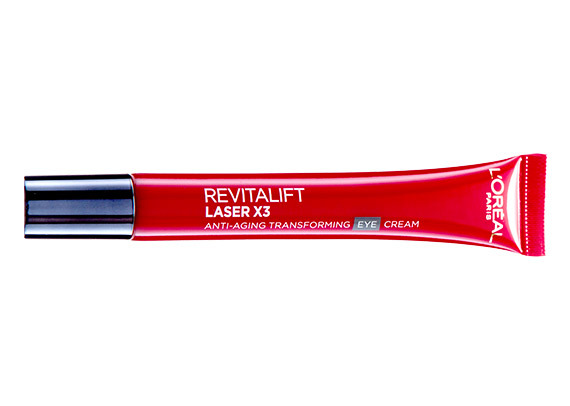 To restore moisture and ward off crow’s feet (those tiny crinkles on the outer corner of your eyes), use eye cream—like L’Oreal Revitalift Laser X3 Anti-Aging Transforming Eye Cream—twice a day. It corrects fine lines, diminishes eye puffiness, and tightens the skin. Also, put on your favorite sunnies before heading out as added protection against the sun’s harmful UV rays. 6. Say no to skin dryness. That means keeping it moisturized and hydrated all day (and night) long. To do the job, we highly-recommend Collagen by Watsons Q10 Body Lotion and Q10 Hand Cream. They have coenzyme Q10, which keeps the skin looking fresh and young, and moisturizing ingredients like soybean oil, vitamin E, and shea butter. It’s okay to indulge in fries and desserts once in a while, but doing it often speeds up your body’s aging process. So instead of burgers and ice cream, snack on nuts and fruits instead. Eat plenty of veggies, whole grains, fish, and lean meat, too. 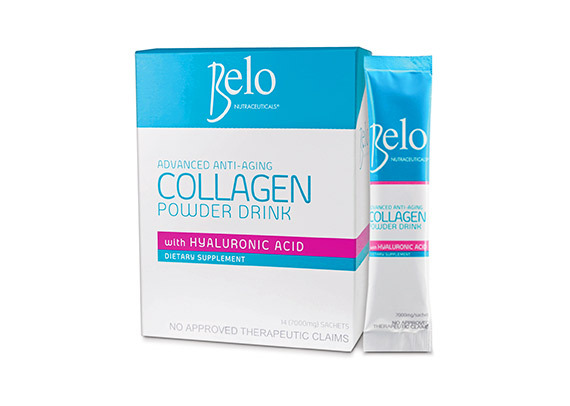 You can also add Belo Nutraceuticals Collagen Powder Drink to your diet to help fight the signs of aging and keep your skin youthful. All products are available at Watsons and SM Beauty stores nationwide.